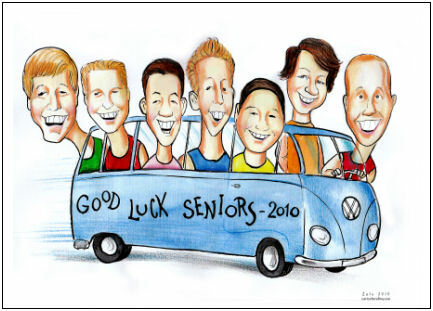 Here is a fun high school graduation caricature drawn by artist Zalo. A great way to commemorate leaving school and the group friendship they shared. The caricature was drawn from a number of supplied photos and based on a layout idea by the client. This sort of gift is also ideal for sporting teams, work and social hobby groups.